Fourteen years together and today Jeanette and Darren tied the knot. They booked early and secured the time 10 past 10 on 10/10/10. 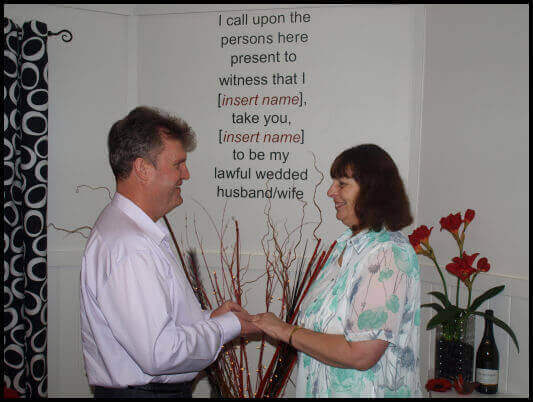 Their ceremony was simple and heartfelt, witnessed by Jeanette’s mum and my husband Paul. Afterwards they shared lunch together and took photos at the Gosford Waterfront. If you would like to organise a fuss-free, intimate wedding on a special date then give Vows Now a call on 0429 2 ELOPE or send us a message.